Hey, everyone! Welcome to our new piece of Daily Content! Every Tuesday, we will be releasing articles about our games! These can range from simple things like analyzing the base pentagon in BattleCON to complex card counting in EXCEED. This week, we have an advanced BattleCON Guide from Marco! 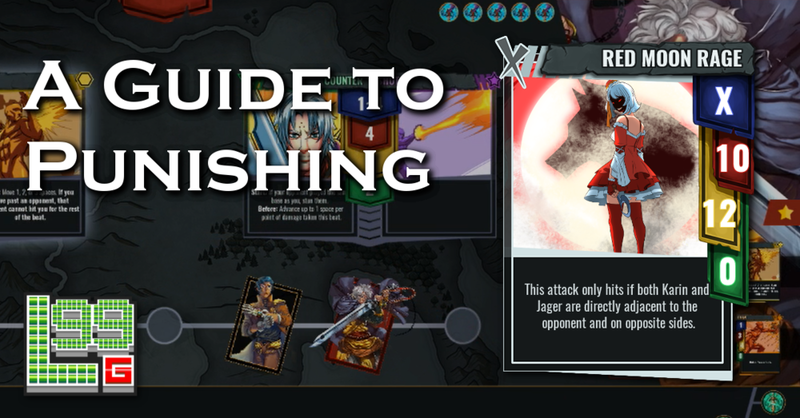 As with many of these guides, the inspiration for this article struck me as I was playing a lot more of BattleCON Online. With the ability to play so many games in a short period of time, I've been able to see certain things that I never would have before. 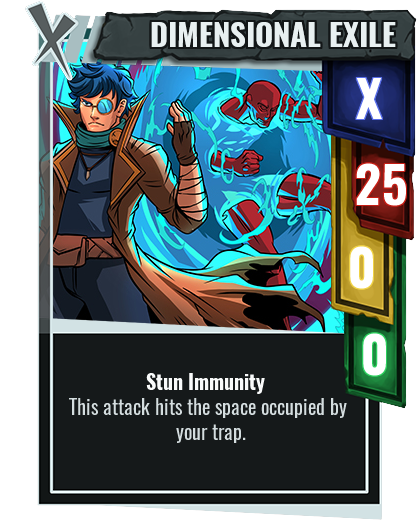 This week, playing as Luc in the latest episode of Making CONnections taught me a lot about Punishing in BattleCON. Well, in normal fighting game terms, "punishing" often refers to capitalizing on a mistake your opponent makes. If they throw out an attack that's not safe when blocked and you block it, you can easily follow-up with an attack of your own, punishing them for this error. Punishes often serve as one of the best ways for defensive characters and fighters to play, but even offensive characters can punish a poorly-placed attack. Now, in the world of regular fighting games, punishing seems so simple what with all this frame data and attack speed and whatnot. However, how exactly does it apply to BattleCON? The answer to this question is quite simple: Discards. If you've read some of the previous articles, you'd know that being aware of your opponent's Discards is important to playing a great game. Usually, this is because you need to know what moves they can perform, so that you can counter and adjust accordingly. However, for the purpose of this guide, the important thing is knowing what they CAN'T do. Simply put, your opponent's options become more limited depending on what cards are in their Discards. Should they enter a situation wherein their better options are stuck in their Discards, they enter a state known as Card Lock. Upon seeing this, many of you experienced players might come to the following realization: most characters without these bases cannot retreat during Start of Beat. While not necessarily true for all characters, many characters in the game don't actually come with the ability to easily retreat outside of Priority Order. A character with both these bases in their Discards can 100% be considered "Card Locked." "So what?" you may be asking yourself, "Isn't this stuff obvious?" Well, yes it is! That's the beauty of it! It's such an obvious thing that many people sometimes fail to capitalize on. Making a deliberate effort to identify these situations and punishing opponents for not being wasteful with their resources will surely increase your proficiency at the game. 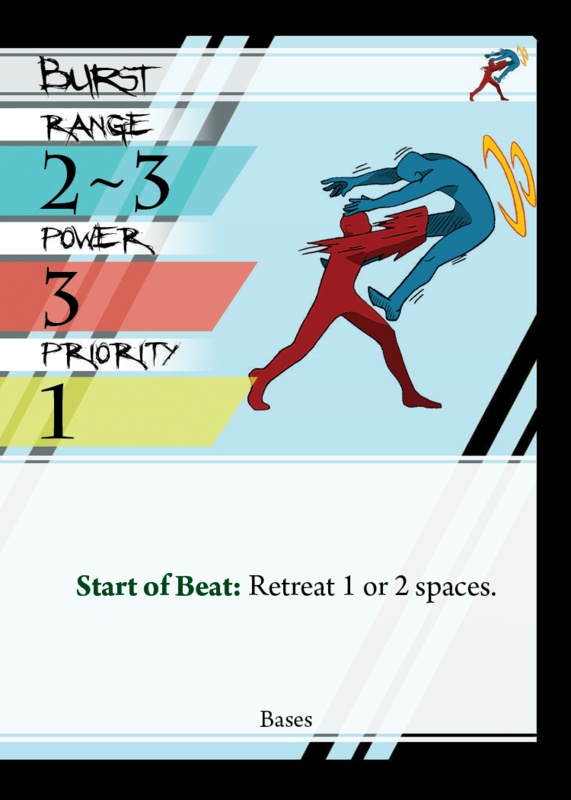 However, to get there, one must realize the benefit of Card Locking the opponent. For something that you can only cast once at the cost of a significant amount of Force, one might imagine that Red Moon Rage should be relatively safe and powerful. However, that's simply not the case. Red Moon Rage is a highly inconsistent attack that's not only hard to set-up but also easy to evade. 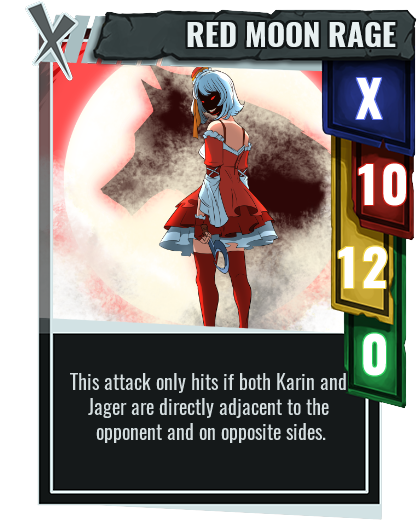 If you're looking at the card text, it's pretty obvious that anyone with a Dodge or Burst can avoid it. I guess you already see where this is going. Should your opponent be Card Locked, Red Moon rage turns from risky pay-out to a near-guaranteed 10 damage. That is actually absurdly powerful. Many Finishers and attacks in the game function similarly. In fact, it even applies to attacks that are already "safe" such as Clockwork Shot. Any highly-effective power pay-out gets significantly better when you time it with Card Lock, making sure that the opponent's easy-outs are down before playing your pay-outs. "But Marco," I hear you say, "how can I possibly force my opponent to play their Dodge/Burst/base that would card lock them?" That is, indeed, a good question. For that, we'll have to talk about. . .
What many of you may not know is that attacks in BattleCON actually have 2 uses. First is the obvious one. You use attacks as actual attacks. You play them and they beat your opponent's cards. This is simple. What's not so simple is the second use. Again, this is best illustrated using an example. Let's say that you're currently standing on Khadath's Gate Trap and he has access to his Dimensional Exile Finisher. Now, tell me, would you want to get off the Gate Trap as much as possible? Most probably, a large majority of you answered "yes." This is because Dimensional Exile exerts a lot of what we call "Threat of Power." While Dimensional Exile does not really get used much, the mere fact that Khadath CAN use it pressures the opponent into playing around it, especially because failing to do so literally results in them losing. As you've probably guessed, Threat of Power is the second use of any BattleCON attack. Now, what does this have to do with card locking? Everything, actually. The main reason players card lock themselves is often as a reaction to attacks that have huge Threats of Power. It is a common sight to see a player quickly use their Dodge against Cadenza in the hopes of evading his Clockwork style, for example. Now, in most situations, this is a good idea. Attempting to Dodge your opponent's powerful attacks tends to work-out well for most players. However, such a careless strategy will not work against a player aiming to punish misplays. In fact, it's EXACTLY what they want you to do. Punishing and forcing card locks can be summed up in that one word. One has to be patient and look for a gap in the opponent's game-plan. Most of the time, this simply means waiting for them to mess-up before playing your big power cards. Other times, it can mean being willing to play some sub-optimal attacks to set-up for your punish. Regardless, being judicious with your own resources becomes key to punishes as well. After all, card locking them is pointless if you've also card locked yourself out of your pay-outs. Patience, then, becomes the crux of the punisher's arsenal. However, it can also be the punisher's greatest enemy. Much like many things in BattleCON, adhering to a specific set of rules simply makes you predictable. If you've resolved to NEVER play your pay-outs unless Dodge is down, your opponent can easily catch onto this and simply "ignore" your big pay-out, choosing to punish you reluctance to play it instead. This brings us back to the core of almost any advanced BattleCON Tech: reads. While Punishing rarely involves making use of hard reads, it is important that you get a feel for your opponent. Have they caught onto your plan to punish? Are they choosing to not Dodge ever in response? Identifying these things and predicting whether or not your opponent will continue to do so is what this really boils down to. So, keep this in mind while attempting to punish. Don't try it too often because you'll get punished as a result! In the end, Punishing is a simple, yet advanced concept that takes only a few paragraphs to learn, but a lifetime to master. Pay attention to your opponent's Discards, identify if they've card locked themselves, and use your threat of power to set-up some risky pay-outs that aren't so risky after all! Newer PostIn-Depth Eligor Guide "You're unworthy to be part of my legend!" Older PostIn-Depth Lixis Guide "Not feeling well?"